The World Trade Organization’s ruling issued April 7, supporting the contention of Ecuador, the USA and some Latin American banana producers, that European Union import duties on bananas flout global trade rules, may finally kill the Caribbean banana export industry. It will be sad if only because the international banana trade began as an offshoot of the Jamaican slavery experience and the culture it birthed. Ironically the company identified most with the lobby to withdraw preference for Caribbean bananas is Chiquita Brands, the world’s largest banana marketer, which is the current incarnation of the United Fruit Company of Boston, which initiated the trade in bananas from Jamaica in the late 1800s. 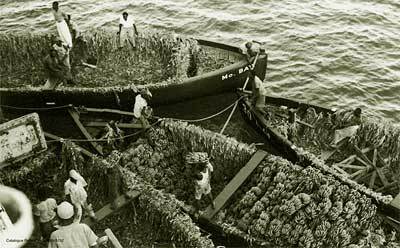 United Fruit Company’s banana boats not only spawned the Caribbean banana trade, but brought the first modern tourists to Jamaica. “Let us hope that we are not close to the ‘extinction’ stage … and that the final nails are not being hammered onto to the coffin of our industry,” said Dr Edsel Edmunds a former top technical officer of Windward Island Banana Growers Association (WINBAN) in a letter to the St Lucia Star, April 4, as he lamented that the governments’ Windward Islands Banana Development and Exporting Company’s top executive had been quoted as saying that he would not encourage growers to invest in bananas.